Eyelets, also known as grommets, are circular metal fixtures designed to cover and protect the outer rim of holes made in fabric for the sake of lacing. While an eyelet works on a fairly simple principle of compressed metal, they can be tricky to attach without the right equipment. An eyelet tool makes the process of securely fastening a metal grommet fast, easy and reliable. Create a hole for the eyelet. Use the fabric hole punch on your eyelet tool, if it has one, or use a separate hole punch tool. Match the hole size to the eyelets you have (err on the size of a small hole, if you're not sure), and make sure to leave about an 1/8 inch between the edge of the fabric and the edge of each hole. Position the eyelet inside the hole. Make sure that the metal edges of your eyelet are open on all sides (if they're not, choose a different eyelet or pry them open with the tip of a needle-nosed pliers), then place the eyelet in the hole, and slide the open edges over the outside edges of the fabric on all sides. Line up the eyelet tool over the eyelet and fabric so that the two round, cylindrical parts on the tip of the tool are lined up equally on all sides with the eyelet. Make sure not to disturb the position of the eyelet on the fabric as you do this. Secure the eyelet. Compress the tool by squeezing the handles firmly together. Depending on how your tool is made, you may feel a "click" sensation when you've fully compressed the eyelet. Otherwise, just squeeze as hard as you comfortably can. Check the eyelet to make sure it's fully fastened. 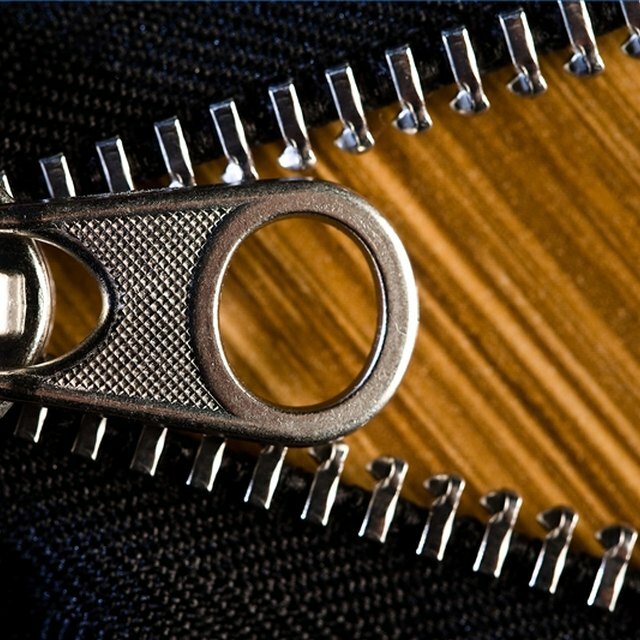 Make sure that the metal edges are compressed tightly in place over the edges of the fabric. If not, use the eyelet tool again, this time rotating the angle slightly to make sure that pressure is applied all over the eyelet. If this doesn't work, finish any open edges by placing the eyelet over a piece of scrap wood and tapping it with a hammer. What Causes a Loose Understitch in Sewing?